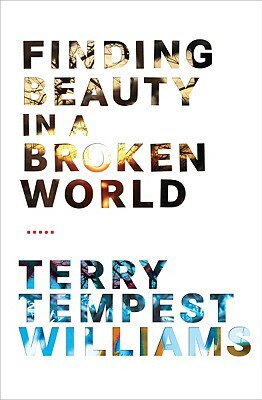 In her most original, provocative, and eloquently moving book since Refuge, Terry Tempest Williams gives us a luminous chronicle of finding beauty in a broken world. Always an impassioned and far-sighted advocate for a just relationship between the natural world and humankind, Williams has broadened her concerns over the past several years to include a reconfiguration of family and community in her search for a deeper understanding of what it means to be human in an era of physical and spiritual fragmentation. Williams begins in Ravenna, Italy, where “jeweled ceilings became lavish tales” through the art of mosaic. She discovers that mosaic is not just an art form but a form of integration, and when she returns to the American Southwest, her physical and spiritual home, and observes a clan of prairie dogs on the brink of extinction, she apprehends an ecological mosaic created by a remarkable species in the sagebrush steppes of the Colorado Plateau. And, finally, Williams travels to a small village in Rwanda, where, along with fellow artists, she joins survivors of the 1994 genocide and builds a memorial literally from the rubble of war, an act that becomes a spark for social change and healing. A singular meditation on how the natural and human worlds both collide and connect in violence and beauty, this is a work of uncommon perceptions that dares to find intersections between arrogance and empathy, tumult and peace, constructing a narrative of hopeful acts by taking that which is broken and creating something whole. Terry Tempest Williams is the Annie Clark Tanner Scholar in Environmental Humanities at the University of Utah. Her books include "Refuge," "Leap," "Red," and "The Open Space of Democracy." Her writing appears frequently in journals and newspapers worldwide. She is the recipient of Lannan and Guggenheim fellowships in creative nonfiction. Williams lives in Castle Valley, Utah. "With hypnotic prose--reminiscent of John Berger in its poetry--Terry Tempest Williams inhabits the post-9/11 world wide awake, utterly open, completely feeling. Taking notes in shattered worlds as her own family breaks and reshapes into something surprising and completely beautiful, Williams presets us with an incredible achievement, a beautiful, terrible, wonderful, hopeful witness. The farthest thing from insanity I've read." "How a book could be this gentle and this heartbreaking simultaneously I do not know. But over a simple trajectory of mosaic-to-prarie-dog-to-comtemporary-genocide, Terry Tempest Williams leads us with methodical accuracy into the devastations and delights of now."